Are your kids driving you crazy yet this summer? Today's project is an easy one to do with kids. It will keep them busy for a long time... and it will look awfully cute hanging up in your laundry room... or on your front door! I did this project with my 3 year old niece Sophia. From the pose above, I think she has been watching too many episodes of toddlers and tiaras. I'm lucky enough to have her living right down the street from me. She and her brother looooove crafts. They like to "help" when they come over. To make this wreath you will need a couple bags of wooden clothespins. 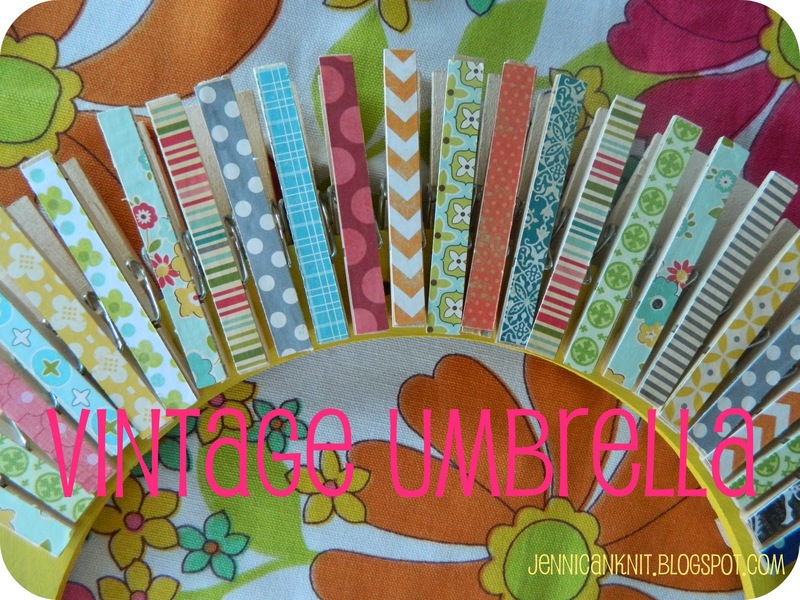 Cut up a bunch of scrapbook paper to fit the top of the clothespins. You can pick a color scheme or just use up scraps. Glue the little strips to each clothespin... just plain old elmer's is fine. Look at Sophia's cute little pudgy hands above. When you think you have enough, pin them around the edge of a wooden wreath form. I painted this one orange. Finished! I just love this project. I think I've given away at least 10 of these this year. Come back tomorrow to see more crafts you can do with your kids! What a wonderful and Sweet Project! !Sophia did an Amazing job!! Thank you for sharing with us at Someday Crafts. I will be featuring your project in tonight's round up post. Thanks for the inspiration! What a great idea. Perfect project for the little ones or even big ones. Looks good. Niiiiiiiiice! And this little girl is so sweet! What a fun idea to share with my grandchildren. And wouldn't it make cute Christmas gifts. Thanks for the lovely idea on this Pink Saturday! Oh that is toooooo sweet, gives me such a great idea to do with my grands. We have a Sophia too. What a perfect use for paper scraps, and those of us who are Scrapbookers have a bunch! A neat project for Kids of All Ages! Sophia is a doll. Happy Pink Saturday. Very cute, and what a fun kids craft. Thanks for linking up. I just featured you over at Craft Envy. Feel free to grab a button! Fun and beautiful! It's one of those "gotta do it myself" projects. I' love it if you'd pop over and check out my blog too!